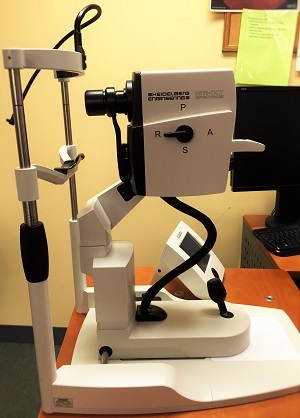 At Retina Consultants of Boston, our diagnostic testing center includes a number of cutting edge technology in the field of Ophthalmology and Retina, including the state-of-the-art Heidelberg Spectralis®. Our diagnostic testing center allows us to provide the highest standard of care to our patients and achieve optimal outcomes for their vision. These diagnostic techniques are used in our office on a regular basis, helping us to provide excellent and comprehensive patient diagnoses and therapeutics. 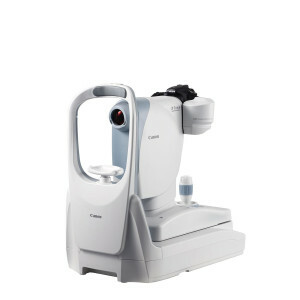 We have a Cannon CR-2 AF Digital Non-Mydriatic Retinal Camera, which is used to obtain color photographs of the anterior segment of the eye, retina, macula, optic disk, and the fundus. This technology helps to provide sharp color photos of the posterior segment of the eye and can assist in documenting and diagnosing several disease conditions including glaucoma, wet or dry macular degeneration, diabetic retinopathy and tumors. 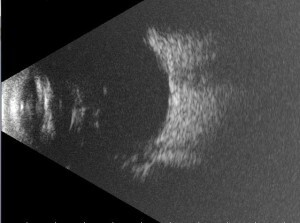 B-scan ultrasonography is used to provide cross-sectional two-dimensional images of the inner eye. When the visibility of the retina is obscured for any reason, a B-scan ultrasound is helpful in diagnosing retinal detachments, vitreous bleeds, inflammation, and much more. This tool is particularly useful in patients who have cataract or vitreous clouding, which would prevent us from getting a clear image using one of our other diagnostic techniques. Visual fields are useful in diagnosing neurological and retinal problems. They are often used to diagnose and follow patients with glaucoma, strokes, and retinal dystrophies such as retinitis pigmentosa.